Used this product for years. The latest version, 18oz, turns out to be so thoroughly watered that at first I suspected it had been adulterated. Not so, this is the new product. It was a gel, now it is so dilute it pours out of the little hole in the bottom of the bottle and splashes onto the shower floor. 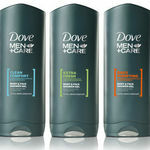 Congratulations Unilever, you turned a good product into junk.